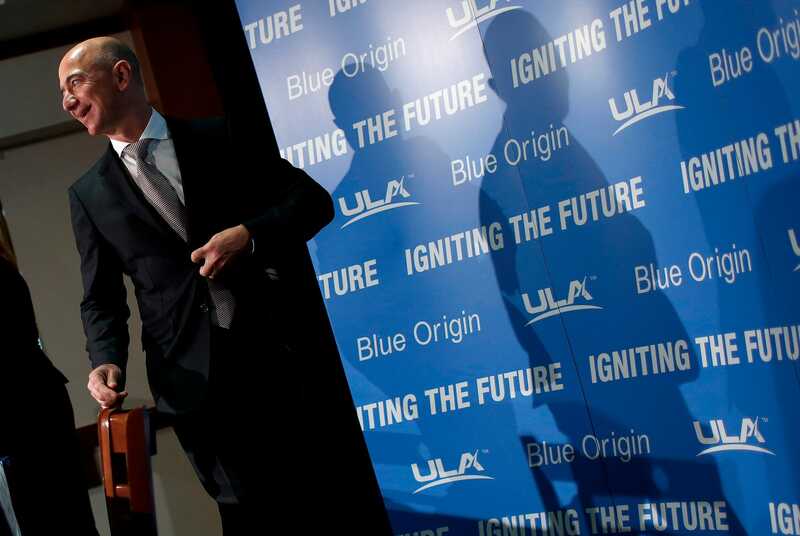 Win McNamee / Getty ImagesJeff Bezos, the founder of Blue Origin and Amazon.com, arrives at a press conference to announce the new BE-4 rocket engine during a press conference in 2014. Amazon‘s ability to leverage its data may be an attractive selling point for advertisers, Jefferies analyst Brent Thill writes. Thill estimates the company could make roughly $US22 billion by 2022 from advertising alone. Amazon’s exposure to consumers gives the company the ability to not only interact on many levels with customers, but to also get to know their spending habits and their interests. This data gives the ecommerce behemoth significant clout, and represents an “advertiser’s dream of data,” because it can leverage a plethora of real sales information that advertisers can use to optimise their spending on both a brand and sales conversion basis. 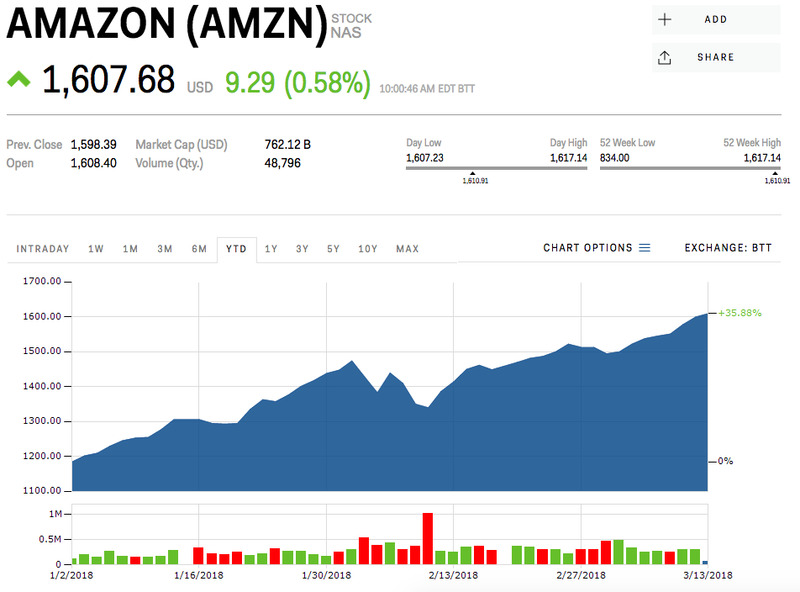 “Amazon’s billions of touch points with consumers and end of funnel sales conversion are an advertiser’s dream for targeting and attribution,” wrote Brent Thill, an equities analyst at Jefferies, in a note to clients. The online retail giant’s advertising business could grow at a 43% compound annual growth rate, or from $US4 billion today to roughly $US22 billion by 2022, Thill projects. Its ad business will grow so much that it will “create halo effects for the core ecommerce business,” particularly as the company creates greater linkages with brands. Amazon’s ad business will also come at a much higher margin, Thill says, because it can be used in multiple ways on Amazon’s platform. Much like Amazon Web Services, the company could allow advertisers to use these services for other parts of its business. Thill is bullish on the company, claiming Amazon has “the right pieces” in place to get to $US1 trillion in market cap over time. The analyst raised Amazon’s price target by 5% to $US1,850 per share from $US1, 750 per share. 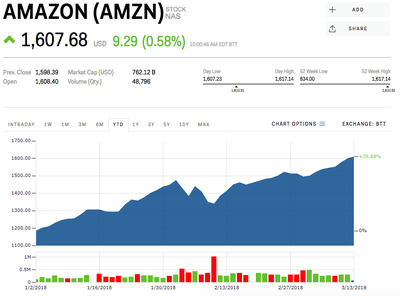 Amazon’s stock is trading at $US1,607 per share. It is up 35.88% for the year. Read more about how retailers can shore up against the Amazon threat.